I have to admit, I’m impressed with these hot dogs. Typically, when I eat a hot dog it’s because I’m starving and I want something to eat fast and I try to ignore what it’s made out of. 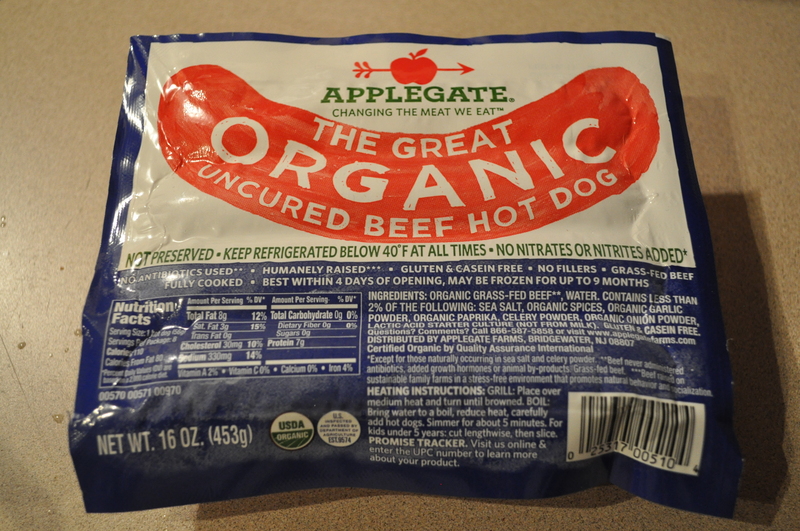 Not only are they gluten free, casein free, and made out of organic, grass-fed beef, each dog has only 8 grams of fat…that’s half of the leading national brand beef hot dog’s 16 grams of fat. Not only do they have less fat, they have less cholesterol, less sodium, zero sugar, and more protein. And they aren’t skinny little dogs either like some you might see on the shelves in your local grocery store. They are full of flavor and boil or grill nicely. With healthy ingredients and a great taste, I can see myself eating one or even two of these every now and then. Especially on our next sunny day when we get a little spring fever and want to fire up the grill!